Being President of the United States means making judgement calls. It means making tough decisions about the lives of millions of people and billions of people around the world. Presidents are remembered by their ability to make tough decisions - FDR&apos;s presidency was defined by one tough decision after another, resurrecting a battered nation and going to war for the survival of democracy. Richard Nixon chose to engage in bribery and dirty tricks and it resulted in a constitutional crisis. 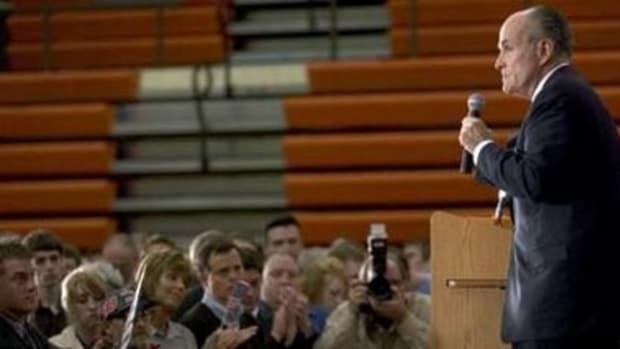 Especially following George W. Bush and his failed presidency, the issue of who can and cannot make tough decisions for the right reasons is the central issue of the 2008 election. By that measure the conduct of Rudy Giuliani with Bernard Kerik, a man to whom Giuliani entrusted the lives of millions of Americans, clearly disqualifies Giuliani for the presidency. As with every nominee, Kerik was given detailed financial disclosure and personal history questionnaires to fill out, all intended to unearth anything that might prove embarrassing in a confirmation hearing. Giuliani&apos;s firm assisted in filling out the forms, according to a source familiar with the situation, and the papers are now an issue in the federal criminal investigation. 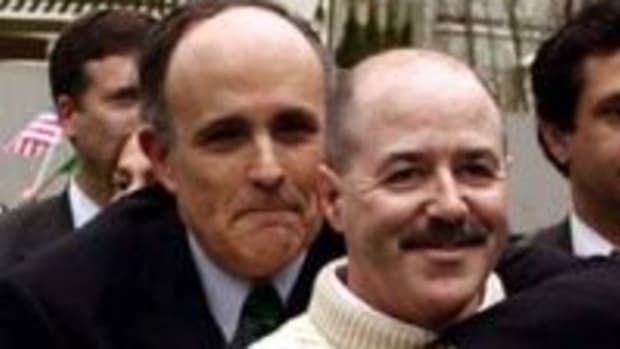 Kerik, his attorney and Giuliani Partners spokeswoman Sunny Mindel declined to comment. The counsel&apos;s vetting depends heavily on honest responses from a nominee, officials said. Yet in Kerik&apos;s case, a quick FBI search and research by the White House turned up a host of problems in the couple of weeks before the nomination was announced. After his guilty plea in 2001, Ray said, he told the FBI that Kerik had agreed to help Interstate Industrial and its owners, the DiTomasso family, try to win city business despite their alleged ties with organized crime. At the time, Kerik solicited and received gifts from company sources, including $165,000 in renovations for his apartment. The selection of Kerik confirms the pattern of misleadership we&apos;ve come to expect and suffer through via the Bush administration. But it also tells you volumes about what it takes to be part of the Giuliani inner circle and how quickly he&apos;ll sell out the citizenry for one of his cronies. And it tells you that there isn&apos;t a snowball&apos;s chance in hell that Rudy Giulani should be the next president.